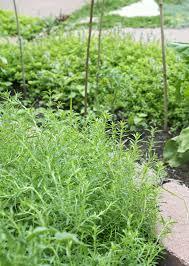 This little herb is not only an aromatic flavourful herb, it's so easy to grow! It's hard to imagine, but there are over 400 different varieties of thyme. They are mostly ornamental with fewer being culinary thyme. The most popular for culinary purposes are French (or common thyme), lemon thyme and caraway thyme (although I haven't grown the latter). To germinate, thyme seeds take from 14 to 28 days so have patience! They prefer dry soil, lots of sunshine and little water and attention - so perfect for someone like me who enjoys a plant that is a 'set and forget until needed' type of plant! Personally I enjoy them for their weed exclusion too they do their spreading habit with very little other vegetation having the opportunity to take hold. Thyme can be propagated from cuttings - clip a 10cm cutting from the very tip of a stem, apply rooting hormone on the exposed portion of the stem (or dip in organic honey) and plant in a light propagating mix. Roots should emerge within six or so weeks. Transfer to a small pot, let the root ball form and then transfer to a large pot or directly to the garden bed. Layering propagating is quite easy too. Take a long thyme stem and carefully secure it along the soil with wire or a U-shaped stake, leaving around 10cm of the tip free. Make sure the pinned portion is in direct contact with the soil. Roots will start to form along the stem within a month. Cut away the newly rooted plant from the main plant and plant either in a pot or garden. Thyme is my favourite herb.I use to put it in my all dishes almost.Once I have read the recipe of yummy fish on writeversity review website which was made out of thyme and since that day I am a fan of this herb. I agree Alma, it is a terrific little herb and just so, so easy to grow!